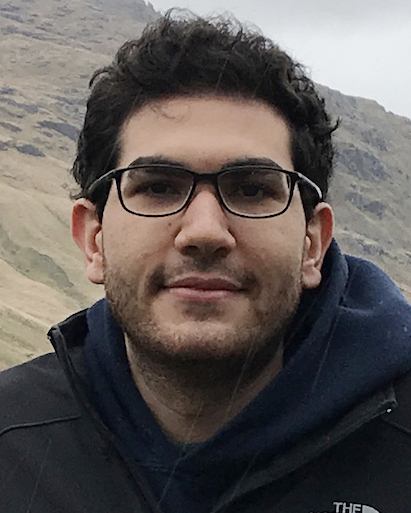 Zakaria Aldeneh, CSE graduate student, has been selected to receive a prestigious IBM Ph.D. Fellowship. Aldeneh is working with Prof. Emily Mower Provost in the area of social signal processing. Aldeneh's research focuses on identifying the features of speech that make human interaction feel natural. The goal is to isolate some of these features and use them to improve spoken dialogue systems, like AI personal assistants. Currently he's looking at laughter, and identifying its acoustic features in different conversational contexts. "Interactions with machines still feel rigid," says Aldeneh. "We're trying to make these interactions feel more natural and human-like." Other features Aldeneh hopes to explore are fillers, like "uh" and "um," and how they can be better handled by dialogue systems in different contexts. He's also taking a look at turn-taking behavior in conversations - most human interactions have very little overlap between speakers, and minimal long gaps. Understanding this flow can help a system better predict when a speaker is finished. This summer, Aldeneh will work as an intern with Apple's Siri team, which tackles many of these sorts of problems to make its spoken interface feel as natural as possible for users. The IBM Ph.D. Fellowship Awards Program is an intensely competitive worldwide program, which honors exceptional Ph.D. students who have an interest in solving problems that are important to IBM and fundamental to innovation in many academic disciplines and areas of study. IBM receives several hundred nominations worldwide. Award recipients are selected based on their overall potential for research excellence, the degree to which their technical interests align with those of IBM, and their progress to-date.